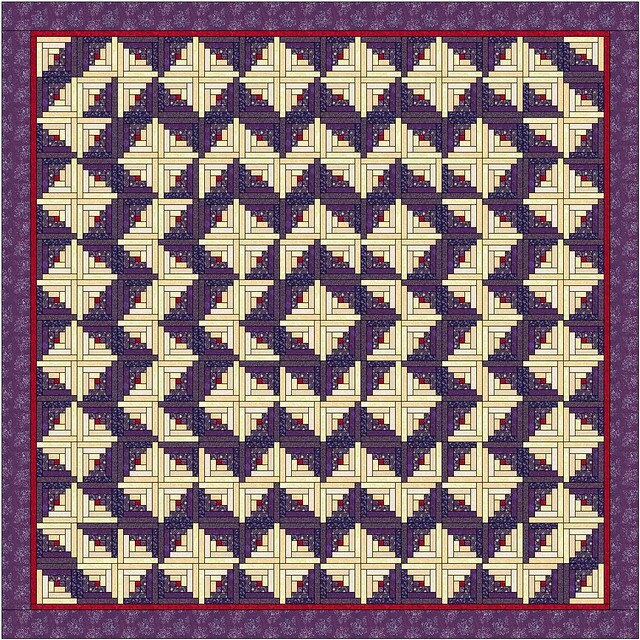 Shelly recently commented wondering how to make a king sized version of my “Winter Log Cabin” quilt. 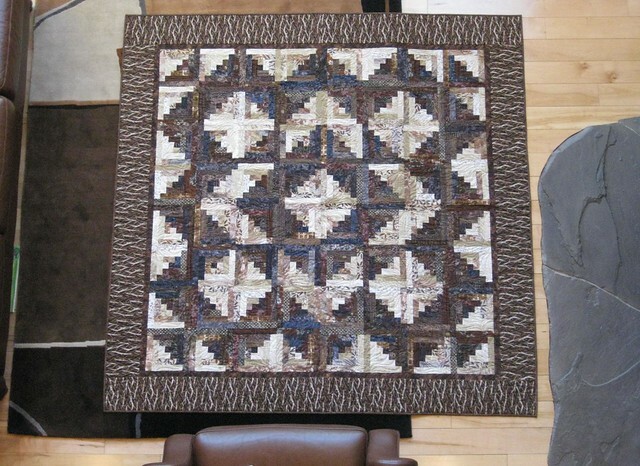 The original quilt seen below used 7-inch finished “cabins” where the “logs” were 1-inch wide each. 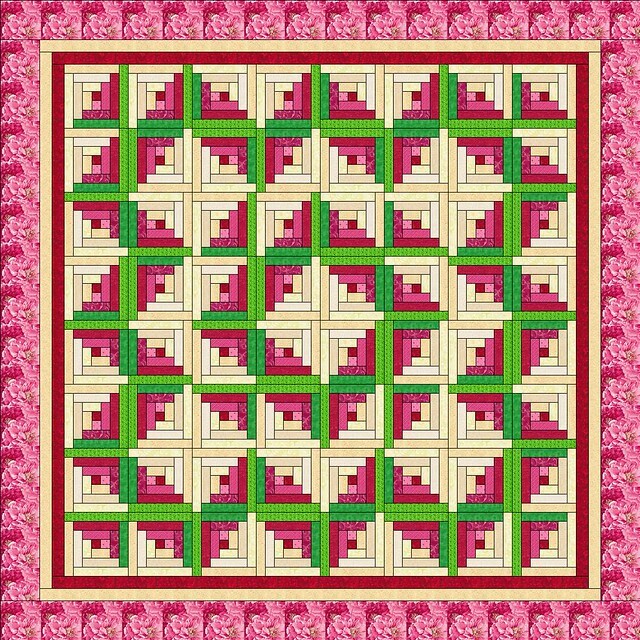 It was eight blocks wide (56 inches) with 2 inch inner borders (+4) and six inch (+12) outer borders making the final quilt a nice throw size of 72 inches square. This entry was posted in Brown Log Cabin. Bookmark the permalink. 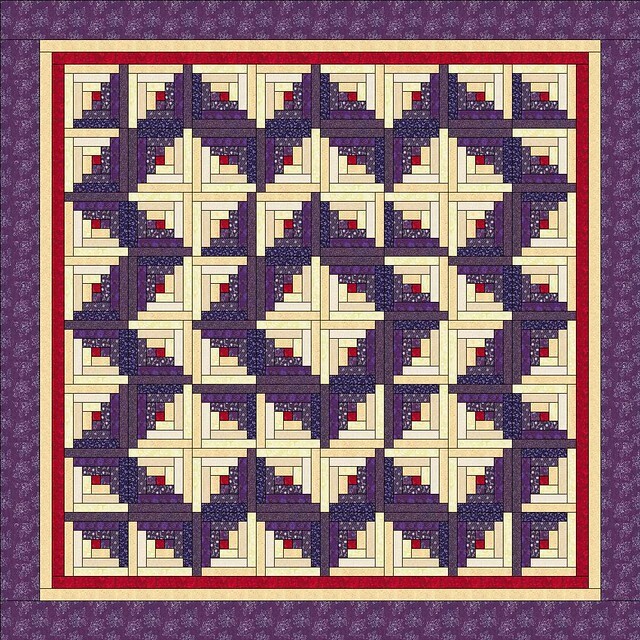 LOVE the second option – 14 7″ blocks across in purple and cream!